INSEE Cement Sri Lanka CEO Nandana Ekanayake ceremoniously opening the new RO Water treatment plant. INSEE Cement has always played an important role in grooming our children to become valuable, responsible citizens when they grow up. To commemorate the World Children’s Day this year, Sri Lanka’s foremost producer of cement, paved the way to a brighter future for the children of Wanathawilluwa and Puttalam by conducting programs designed to inspire them to lead healthy lifestyles. 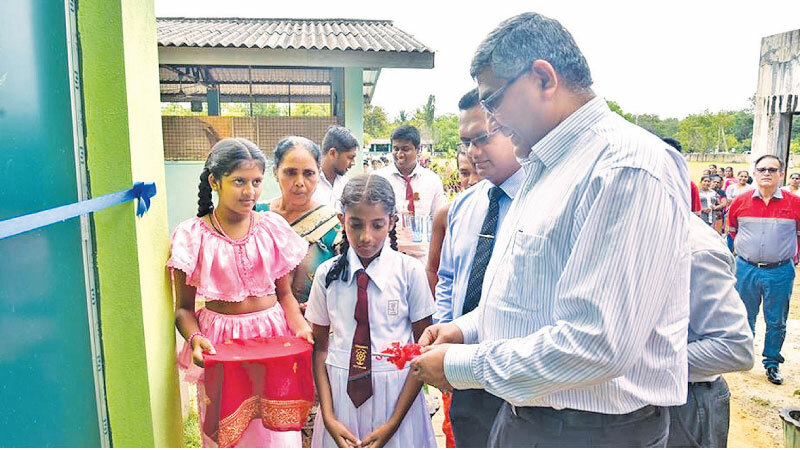 In Wanathawilluwa, INSEE Cement partnered with the Divisional Secretariat and Samurdhi Development in the area to reach out to the children in an engaging way. 400 children in 8 schools benefitted from the program aptly titled ‘Hodama de Lamayanta’ (Best for kids). The awareness program on prevention of drug abuse is held in response to requests from the Community Advisory Panel to educate 14 to 18-year-old children across the country on the danger of illegal drugs, alcohol and tobacco.